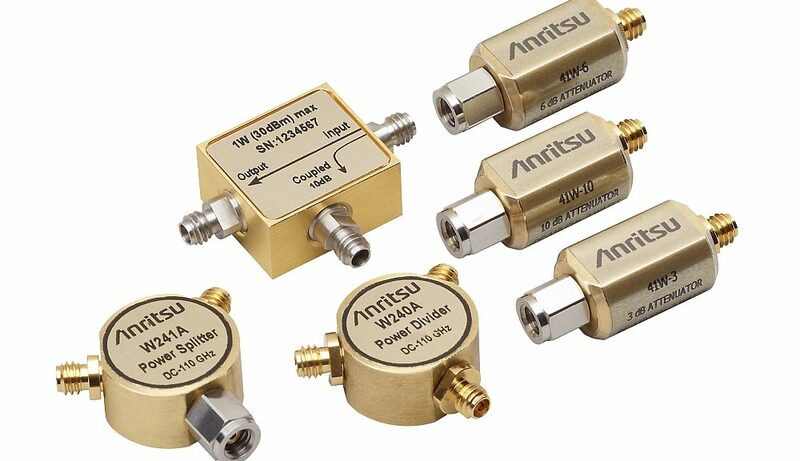 Anritsu presents W1 coaxial components that offer metrological quality specifications to ensure repeatability for measurements in a frequency band from continuous to 110 GHz. This family of components, equipped with W1 connectors, includes splitters, power dividers, directional couplers and attenuators. This is an alternative to millimetric interface solutions. Unlike waveguide based devices, W1 components are not limited in frequency band. They have a frequency range from 0 Hz (DC) to 110 GHz. This wide frequency coverage avoids the need for complicated measures to eliminate the impact of certain adapters among the different types of coaxial interface. It is therefore no longer necessary to perform the calibration between the coaxial cable and the waveguide. 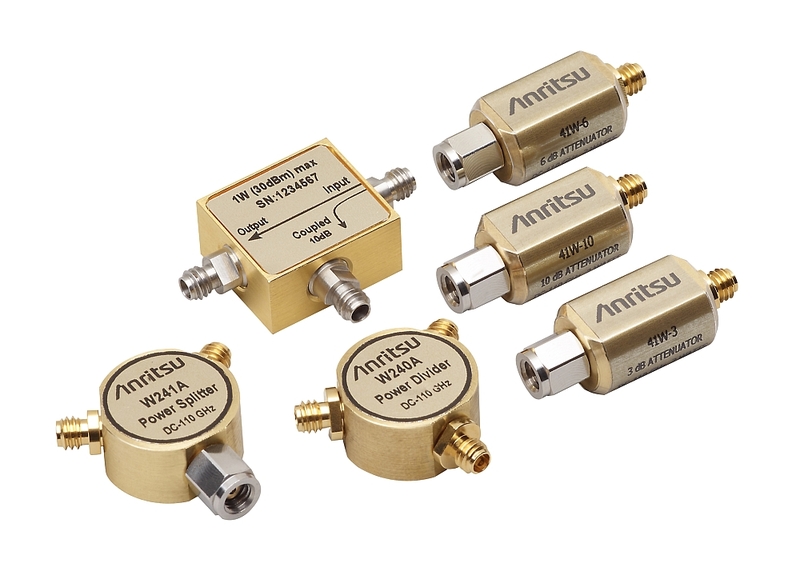 Anritsu’s W1 range consists of a three-resistor power divider, a two-resistor splitter and a set of attenuators offering a frequency range from 0 Hz to 110 GHz, as well as a 20-110 GHz directional coupler with guaranteed performance from 110 MHz. The components are equipped with W1 connectors (1.0 mm compatible), designed for broadband scalability and mode independent performance up to 110 GHz. W1 connectors are suitable for a variety of high frequency systems: wafer-based characterization and measurement, characterization of amplifiers and subassemblies of automotive radars, calibration and instrument characterization in metrology laboratories.